Tires are one of the most important parts of your vehicle. They are where the rubber meets the road. 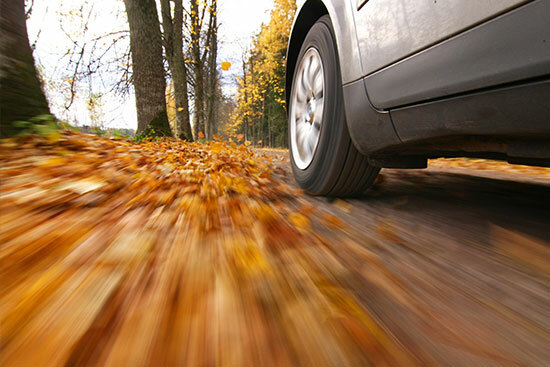 A good set of tires can save you before any of your vehicle’s safety features have to be enabled. 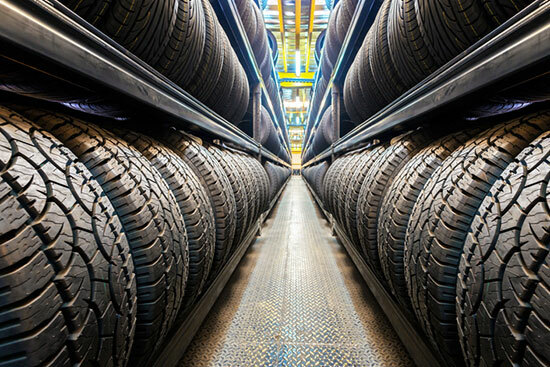 We live and breathe tires; they’re all we do! We take great pride in getting you exactly what you need. Our inventory of new and used tires is updated daily with tires of all different makes, models and sizes. Call us crazy, but there is no smell better than the smell of brand new tires. Unfortunately, buying new tires is like buying a new car. You spend a bunch of money and the minute you drive them off the lot their value is gone. If we don’t have a set of high-quality used tires that you need, we are happy to get you an inexpensive set of new tires. We’re new to selling new tires, so the process is a little different than buying used tires from us. The inventory that we post online is what we have in stock. Anything outside of this will need to be ordered in for our customers. This can take as little as 4 hours to anywhere up to 2-3 days, depending on whether or not we have to order tires from another city. We use just one supplier in the city. After all, our main focus is getting high-quality used tires. There are several brands of tires we are able to provide: Michelin, Toyo, Bridgestone, and Yokohoma just to name a few. If you are looking for a new set of tires, feel free to give us a call. We’ll price out a great set of tires for you! Many people ask if it’s worthwhile to put on a set of winter tires. The answer is yes! It’s a proven fact that winter tires provide the best traction on the treacherous Canadian winter roads. It only takes one season driving on winter tires to prove their worth. If you dig your fingernails into a winter tire you will notice it’s much softer than an all season. This is because it is designed to flex more, gripping the road even when it’s snowy and icy. 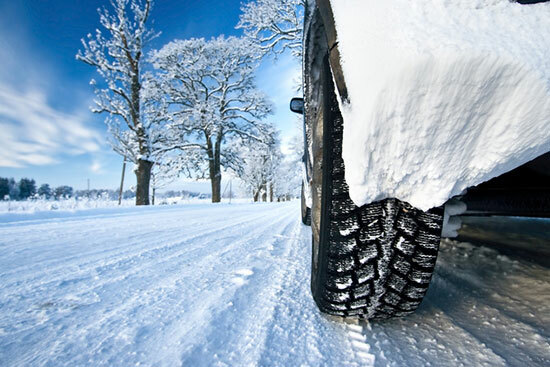 Every year, millions of dollars are spent in research and development to improve winter tires. If you look closely at a top brand winter tire, you will notice that the tread forms a V pattern. This is done to allow snow to leave the tread so that the tires can provide maximum grip on the road. Sipes are the little squiggly lines that you see in tire treads. Think of the tire tread as a hand gripping snow. The sipes would be the finger tips gripping ice. They provide more surface area to really grab hold of the ice and minimize slipping and sliding. While all season tires also have sipes, winter tires generally have more sipes to provide much better traction. When should you put on your winter tires? When the temperature dips below 7 degrees Celsius is when the gripping power of a good winter tire really takes hold. As a general rule of thumb, when Thanksgiving rolls around you should be thinking about putting on your winter tires. Tried, tested and true, an all season tire can provide you with the support and safety you need all throughout the year. 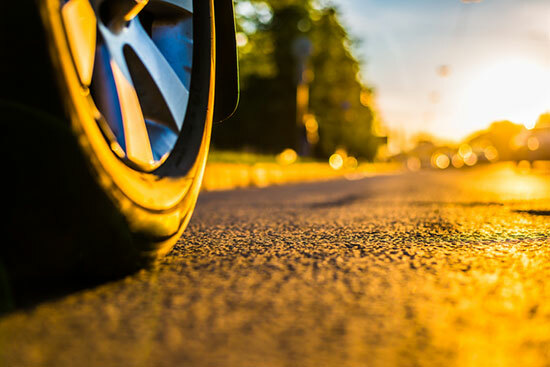 While it may not grip as well as a winter tire, the cost savings of not having to change tires twice a year is a huge plus for many consumers. 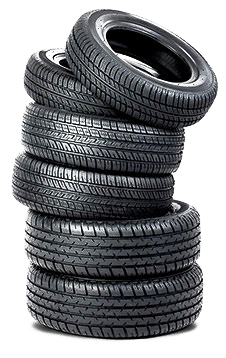 Almost every tire in North America is an all season tire. They all have “M+S”, which stands for Mud + Snow. That being said, there are varying levels and degrees of all season tires. Some specifically state “ALL SEASON”, while others show symbols for all four seasons. Different tires have different amounts of sipes in them, providing different levels of gripping capabilities on snow and ice. Price plays a huge factor here. The market shows the level of quality in an all season. Simply put, you get what you pay for. Consumers wouldn’t be willing to pay more for a specific tire unless it’s quality and stopping power was superior. I’VE BEEN TOLD I NEED TO HAVE WINTER TIRES IN BRITISH COLUMBIA, IS THIS TRUE? Not in the least! 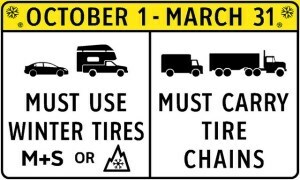 In British Columbia you require tires that have been rated for winter use, meaning that they must have M+S or the winter symbol on them. Here is a sign taken directly from BC that states exactly what is required. Seeing as almost every tire in North America has the M+S stamp of approval, you won’t need to change your tires to drive in our neighbouring province. 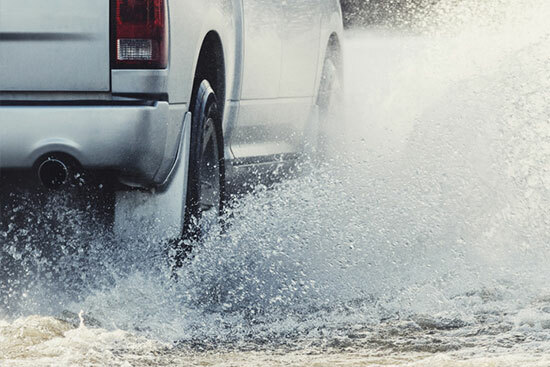 Are all weather tires worth the extra cost? The answer is complicated. Yes, they provide better traction and support than an all season tire. At the same time, the tread life does not normally hold up as well as an all season during the hotter months. However there has been quite a significant advance in All Weather tires in a few short years that have increased their tread life. It is nice to have two sets designed specifically for both extreme weather conditions however if your trying to keep your costs down All Weather is definitely an option. As with everything brand is important, the newer technology has helped All Weather to be an option worth checking into. If you’ve read our page about all season tires, you already know where we’re going with this. “Summer tires” don’t really exist, at least not in the capacity that we believe they do. Almost every single tire in North America is rated M+S (Mud + Snow). This makes them an all season tire. In the off chance that we ever find one without this rating, it would be a true summer tire. We’ll leave it at that and ask you to check back later if we ever find these tires. They will most likely be carried by Sasquatch. Ultra High Performance tires is exactly what you would be asking for in the summer time. They have superior grip on the dry roads and will take a corner like the vehicle is on rails. In general most casual drivers would not require this type of tire during the summer months. They are best off running a standard M+S during the hotter months and winters when the snow comes down. Each tire has identifiers written on them: cross section width, aspect ratio, and wheel diameter. 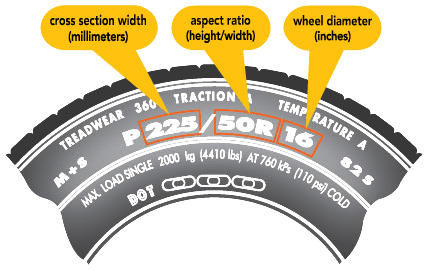 The aspect ratio is dependent on your tire width. In the picture to the left the aspect ratio is 50% of the 225 millimeter width. From rim to tread it’s 112.50 millimeters. Different sizes can be put on your vehicle in place of your current size, so long as they fit the rim and don’t rub on the wheel well. For example, 215/50/16 would be an alternative to 225/50/16. WITH OUR PRICES IT’S ENTIRELY WORTH CHANGING YOUR TIRE SIZE SLIGHTLY TO SAVE HUNDREDS OF DOLLARS.